Woo hoo! Another poster we can add to the collection of City of Bones character posters. 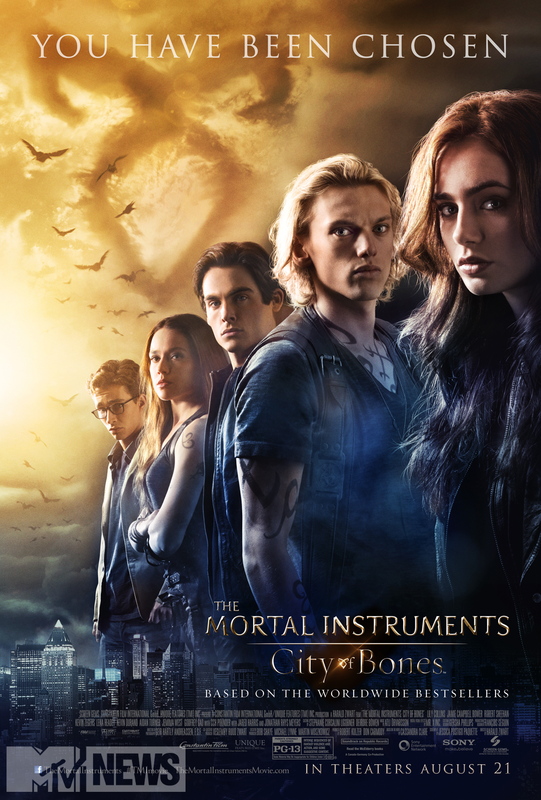 This is such a memorable poster, first all of the main cast is on the poster and secondly (and somewhat sadly,) this is the last poster for City of Bones. The official pages for The Mortal Instruments movie revealed part of the poster about every 15 minutes. So much has happened today! First, we got news that City of Ashes will be filming in the fall. 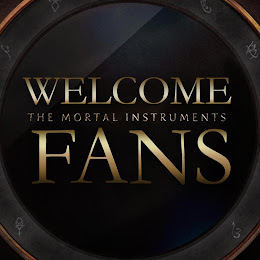 There is a new Shadowhunter website. 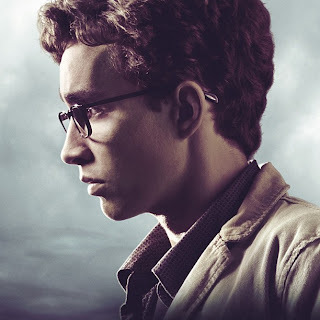 Now, teen reveals the Simon Lewis character poster for City of Bones. 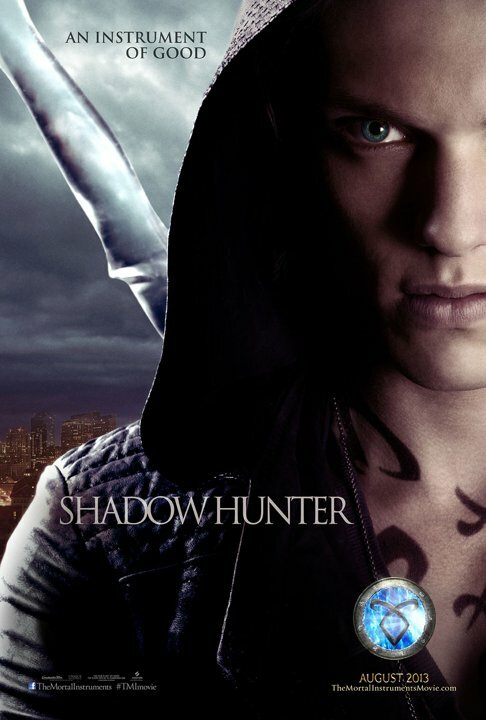 The background from @MortalMovie (The Mortal Instruments movie twitter page) shows a little bit more of Jamie Campbell Bower as Jace! 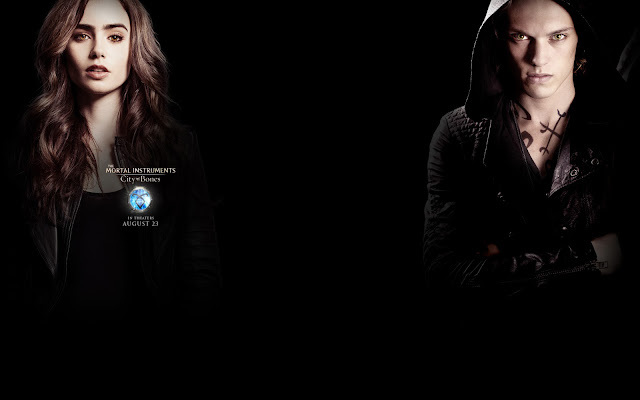 At WonderCon 2013, they released both the Clary and Jace character posters. 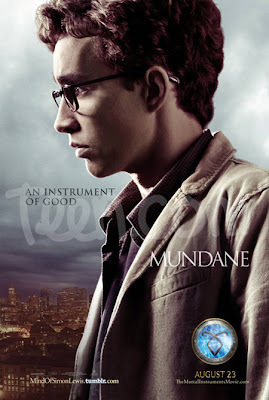 As you can see, now we have the other half of Jace and a little bit more of his body!